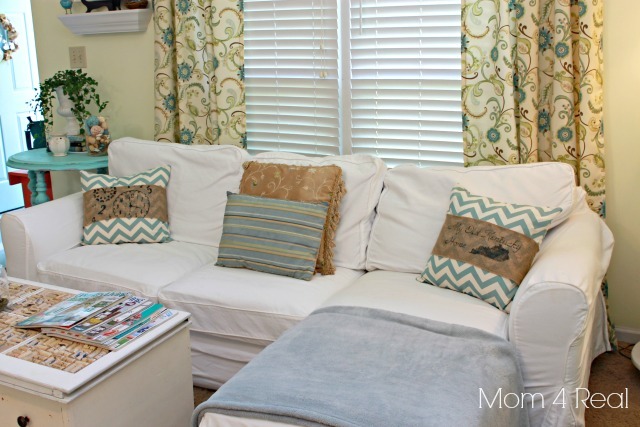 I love, love, love the way a few pillows can totally change the look of a room. The only problem? Pillows can be pretty pricey! That’s why I love to make my own and change them out often. 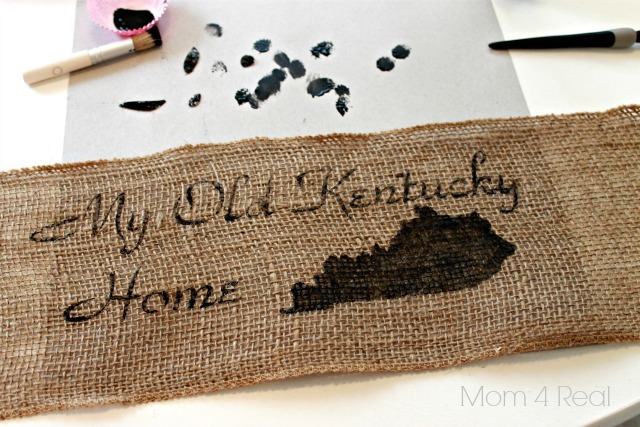 I recently saw a pillow like this one at one of my favorite shops, and decided to make my own with a Kentucky twist…so was born My Old Kentucky Home Stenciled Burlap Pillow! I used my Silhouette and made a stencil. 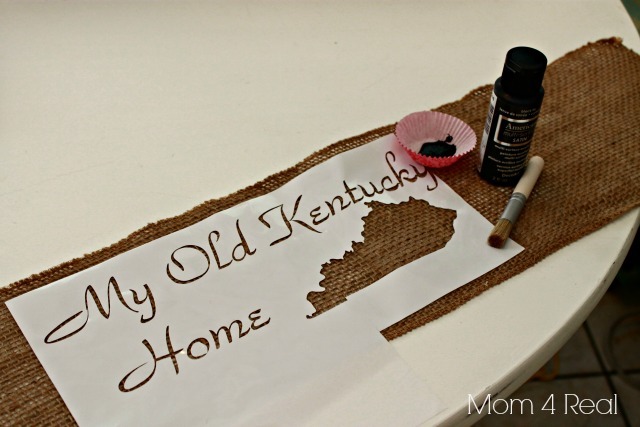 I simply typed out My Old Kentucky Home, added a silhouette of my favorite state, and let the machine cut it out on some vinyl. I then stuck it on a piece of burlap banding that I cut to fit around the chevron pillows I just made. I used one of my stencil brushes and some black acrylic paint to stencil my design on. As soon as I was finished stenciling, I immediately pulled up the vinyl so my design could dry. 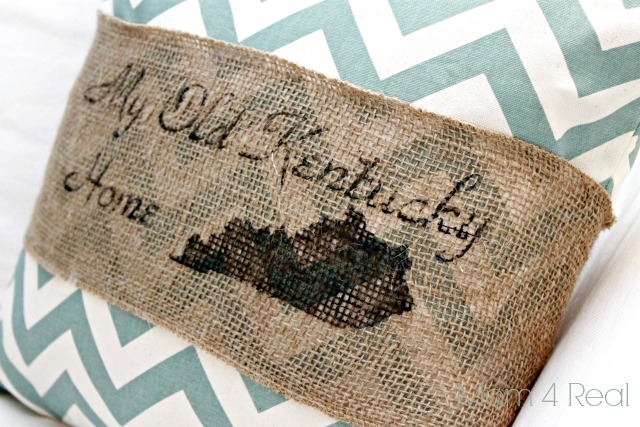 Now I have my very own Kentucky pillow…these would look so cute in just about any state, but KY is definitely my fave! I made another cute stenciled pillow using a different kind of stencil to balance the other side of my now super happy couch! 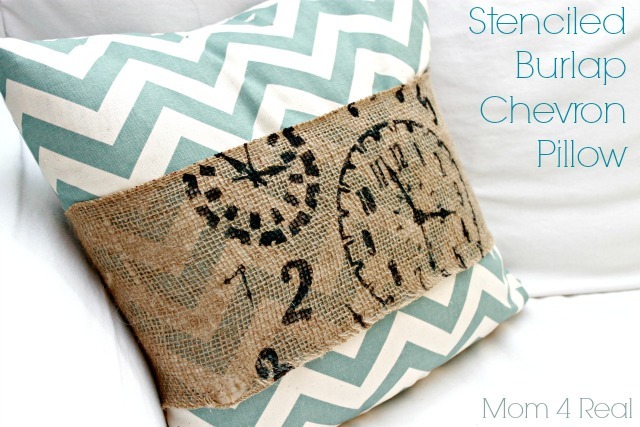 I’m sharing this stenciling method and pillow over at one of my favorite blogs, Chase The Star! Be sure to drop by and tell Barbara I sent you!! The ultra fabulous chevron fabric above is from my favorite online fabric store, onlinefabricstores.net. This fabric was in my swag bag at Haven Conference, and as soon as I saw it, I new exactly what I was going to make with it. Stop back tomorrow for an awesome fabric giveaway from Online Fabric Store!!! Sharing at Remodelaholic, Homestories A to Z, and Savvy Southern Style! luh-uh-uve – so stinking – pinned and love!! Love these! So clever and adorable! I absolutely LOVE that pillow, Jessica! 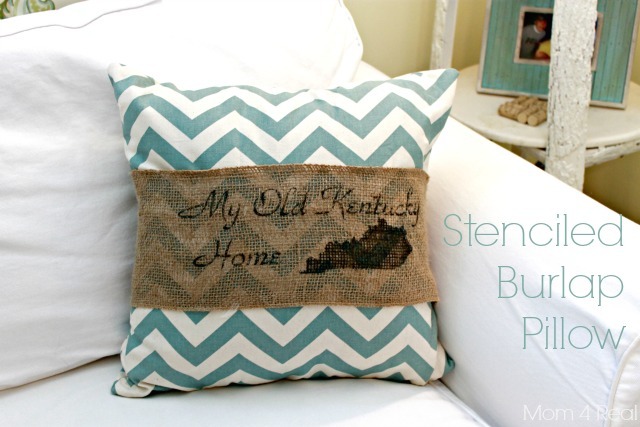 The blue chevron with the burlap is the perfect combination! 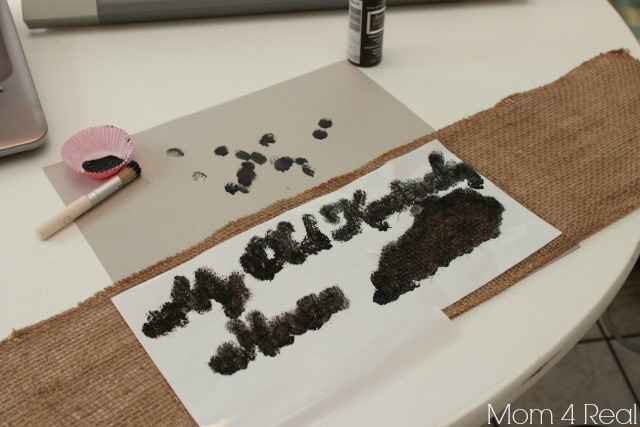 Did someone say stencil and burlap? Oh yeah baby! Love it Jess, really cute! Love the pillows. Are you in Louisville by any chance? Come by and see us at the shop!! This is such a spectacular idea! I’m thinking diy pillows for the kids is in order.